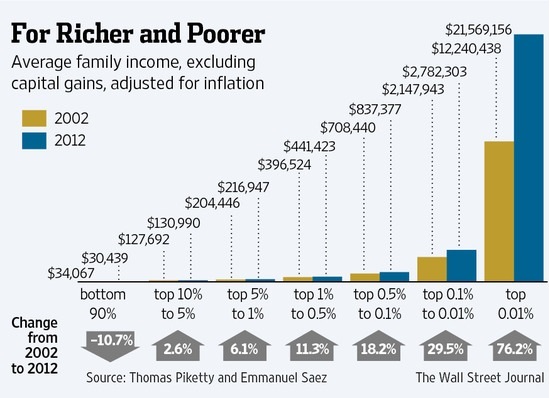 The bottom 95% need a time machine to recover any semblance of prosperity. They need a time machine that goes back 20 years so they can buy a little bungalow on a postage-stamp lot for $150,000 on the Left and Right Coasts, because now the little bungalows cost $1 million and up. 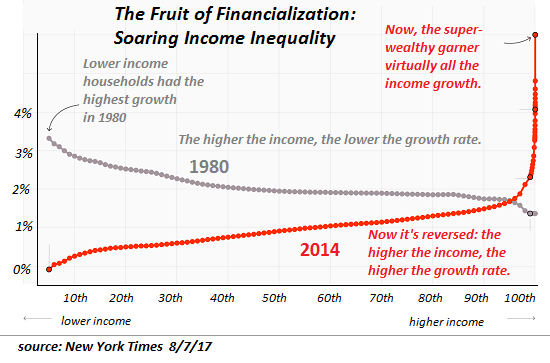 The top 5% who have benefited so immensely from the consolidation of wealth and power cannot confess the status quo has failed the bottom 95%. And so they label anyone who refutes or resists their narrative a populist to marginalize and demonize any political threats to their cozy cartel-state concentration of wealth and power. If you found value in this content, please join me in seeking solutions by becoming a $1/month patron of my work via patreon.com. Check out both of my new books, Inequality and the Collapse of Privilege ($3.95 Kindle, $8.95 print) and Why Our Status Quo Failed and Is Beyond Reform ($3.95 Kindle, $8.95 print, $5.95 audiobook) For more, please visit the OTM essentials website.